The Western media has provided scanty coverage of the DPRK position, upholding the absurd proposition that North Korea rather than the USA is a threat to Global Security. But, the U.S. side [Pompeo] came up only with its unilateral and gangster-like demand for denuclearization just calling for CVID, declaration and verification, all of which run counter to the spirit of the Singapore summit meeting and talks. 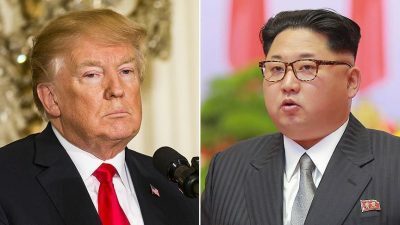 The U.S. side never mentioned the issue of establishing a peace regime on the Korean peninsula which is essential for defusing tension and preventing a war. Pyongyang is negotiating with a U.S Secretary of State (former CIA Chief) who casually announced last October that Kim Jong-un was on the CIA’s assassination list. (click link for more details). From a diplomatic standpoint, this is untenable. Pompeo should be replaced. Read the DPRK statement. Pompeo’s intent in Pyongyang was to sabotage the spirit of the Singapore Summit. The US Congress and the White House should fully understand that there are no prospects for peace with Mike Pompeo as chief US negotiator. Before the talks, Kim Yong Chol (image on the right), vice-chairman of the Central Committee of the Workers’ Party of Korea, who is also a chief delegate from our side to the talks, was authorized to convey with a due respect to U.S. State Secretary Pompeo a personal letter sent from Chairman of the State Affairs Commission of the DPRK Kim Jong Un to President Trump. The U.S. side, during the talks [ie. Mike Pompeo], made a great publicity about suspension of one or two joint military exercises. But suspension of one action called exercises is a highly reversible step which can be resumed anytime at any moment as all of its military force remains intact in its previously-held positions without scraping even a rifle. This is incomparable with the irreversible step taken by the DPRK to explode and dismantle the nuclear test ground. Featured image is from Anadolu Agency.